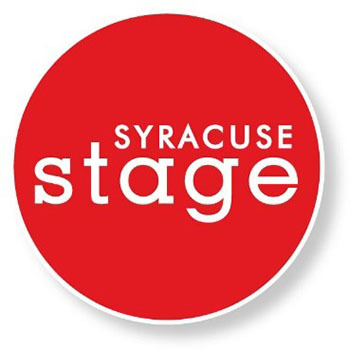 This summer, a transition in leadership will begin at Syracuse Stage as Timothy Bond, producing artistic director, and Jeffrey Woodward, managing director, have announced plans to pursue new opportunities. Bond will continue with Stage through June of next year. In addition to providing continued producing and artistic leadership during the upcoming 2015/16 season, he will be instrumental in planning the 2016/17 season. Following his tenure at Stage, Bond will be seeking new artistic and academic leadership positions and continue directing plays at regional theaters around the country. Woodward will be joining Dallas Theater Center as its new managing director. Woodward was approached by a national executive search firm to consider the position, which he’ll begin in July. To help with the transition, Stage’s longtime administrative director, Diana Coles, will serve as interim managing director, effective July 1. With Bond continuing another year as the producing artistic director, all business and artistic matters are expected to continue seamlessly. National searches will begin this summer to fill Stage’s artistic and management leadership positions. “The Stage is financially and artistically sound, operating within a balanced budget, and looking ahead to continued success and community support. Along with a talented and dedicated staff, Tim and Jeff have successfully maintained the theater’s reputation as the region’s premier professional theater, building upon its distinguished legacy as a cornerstone of the arts in Central New York,” says Louis G. Marcoccia, president of the board of trustees. Bond’s tenure as producing artistic director has been marked by on-stage success of classics, musicals and contemporary work, including five critically acclaimed productions of August Wilson plays. Bond has also displayed a knack for creating seasons that blend big and popular musicals such as “Hairspray” and Irving Berlin’s “White Christmas” with more innovative and edgier work such as Wajdi Mouwads’ “Scorched” and the world premieres of “Tales from the Salt City” and “Cry for Peace: Voices from the Congo,” which brought internationally renowned theater artist Ping Chong to Syracuse Stage. Bond’s commitment to diversity and presenting varied cultural perspectives is reflected in his programming and hiring of artists. Offstage innovations in recent years have included broadening services for individuals with disabilities by introducing open captioning and audio-described performances, as well as enhancing community engagement and education programs with a number of additional events, exhibits and new partnerships. Under Woodward’s management, Stage, the largest not-for-profit cultural organization in Central New York, has continued to grow and thrive, achieving a balanced budget year after year. Among their greatest accomplishments at Stage, Bond and Woodward have overseen 11 new partnerships with prestigious theaters, including Portland Center Stage, McCarter Theatre Center and Seattle Repertory Theatre. A partnership with the Baxter Theatre in Cape Town and the Market Theatre in Johannesburg, South Africa, led to Stage’s first international exchange with “The Brothers Size,” directed by Bond. The connections established at that time led to another international transfer – this time from the Market Theatre to Syracuse—with the acclaimed South African play “Sizwe Banzi is Dead” directed by Tony Award-winner John Kani. In addition to serving Syracuse Stage, Bond has served as producing artistic director for the Department of Drama in the College of Visual and Performing Arts (VPA). He has selected shows and helped to raise the department’s profile nationally by expanding opportunities for students through partnerships with Syracuse Stage. In partnership with VPA, he has assisted in attracting visiting artists such as Tony Award- and Pulitzer Prize-winner Tony Kushner, composer Jeanine Tesori and Tarell Alvin McCraney to the Department. Syracuse Stage has been fortunate to have a history of great leadership. Prior to Bond, there have been three artistic heads, starting with founding producing artistic director Arthur Storch from 1974 to 1991. Tazewell Thompson served as artistic director from 1992 to 1995, and Robert Moss served as artistic director from 1996 to 2007. Prior to Woodward serving as managing director, the management head was James A. Clark, who served under several titles from 1976 to 2007. This fall Syracuse Stage will begin its 43rd season. Bookended with comedies, the season will open in October with Steve Martin’s farcical romp “The Underpants” and will close in May with a comedy spoof of Sherlock Holmes’ most famous case in Ken Ludwig’s “Baskerville: a Sherlock Holmes Mystery.” For the holidays there will be song and satire with two shows running simultaneously, the high-flying musical adaptation of “Peter Pan” and “The Santaland Diaries” by humorist David Sedaris. New contemporary works in the 2015/16 season include the funny and irreverent “Stupid F***ing Bird: and “The Christians,” a critically acclaimed new play for people of all faiths. Finally, “To Kill a Mockingbird” will grace Syracuse Stage with Harper Lee’s cherished story of courage and justice. On June 19, the Syracuse Stage Gala will feature three-time Grammy Award-Winning blues musician Keb’ Mo’. Tickets and information are available at http://www.syracusestage.org.